I was never much of an RC guy but I purchased a Tamiya 1:16 M4 Sherman when I bought my house cos I thought it’s big and could make a nice display. Last month I’ve finally gotten the wits to go through the build process and I just fell in love with it! I love how they go over obstacles and such in a way that’s unique to a track system. I’m still adding to the Sherman with stowage and stuff so will do a photoshoot later, but driving it has been fun! 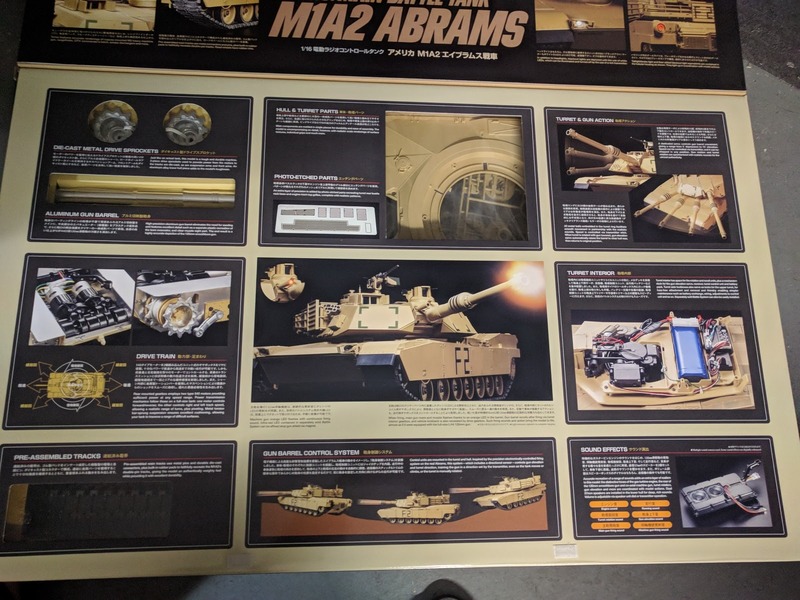 Earlier this year Tamiya annouced they’re doing an Abrams. I like Abrams quite a bit and in fact I’ve built the Academy 1:35, twice, with a TUSK II and SEP V2 variants. 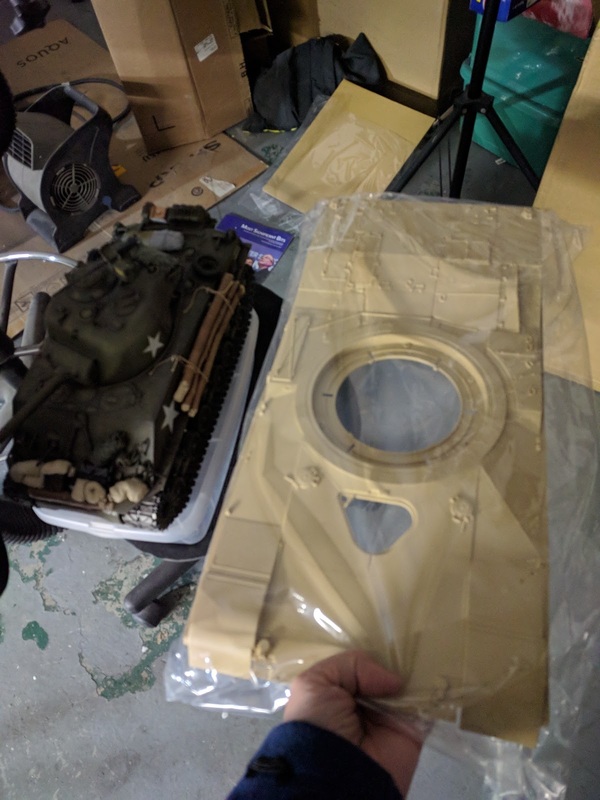 I actually thought I was going to build the static model until I had so much fun with the Sherman that I decided to plunge for the full option kit. I pre-ordered them from the AAF museum and they promptly shipped the kit after they were released last month. Today it arrived! The box is pretty huge! 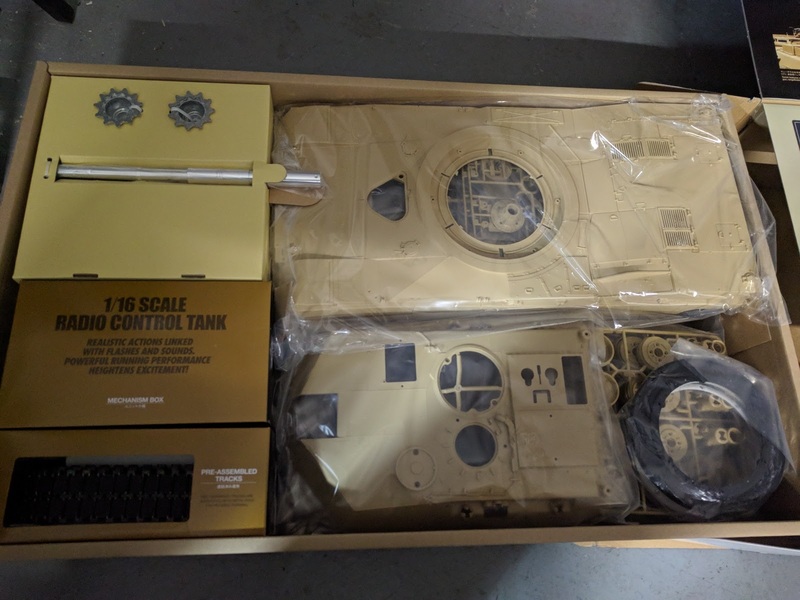 As usual with their full option kits, the kit comes in a deluxe box full of explanation of how awesome the tank is. The Abrams is much larger than my Sherman on the left, almost twice the length and 1.5x the width. I’m very excited with the kit and can’t wait to make it run!